Michel Serres is one of the most original and dazzlingly inventive thinkers of the last hundred years. But his work is remarkably difficult and employs concepts drawn from almost every field of knowledge, including literary studies, anthropology, mathematics, physics, and biology, making it a daunting prospect for readers schooled exclusively in philosophy or the humanities. 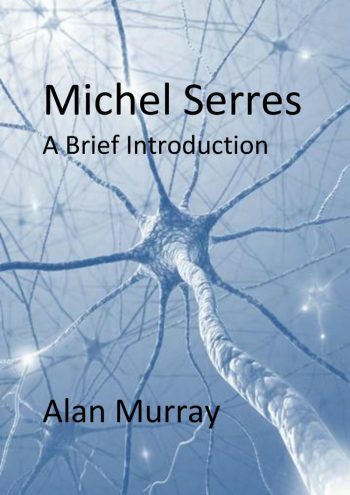 Murray’s short book offers a clear, concise, and engaging explanation of Serres’s key ideas, while at the same time situating his project in a tradition that extends from Auguste Comte to Bruno Latour via Gaston Bachelard. Covering almost the whole range of Serres’ thought from his early structuralist analyses of figures such as Lucretius, Zola, and Jules Verne, to his more recent forays into the fields of ecology and politics, this is a book that will be welcomed by anyone seeking a way into this astonishing body of work, or who would like a deeper understanding of its philosophical force and significance. “Well written, concise and places Serres in context” – Stewart T Ball on Amazon.com. “Alan Murray is both a philosopher and a poet so it is a pleasure to read his beautiful language. I am always pleased to find out more about this neglected philosopher” – M.Braithwaite on Amazon.co.uk.